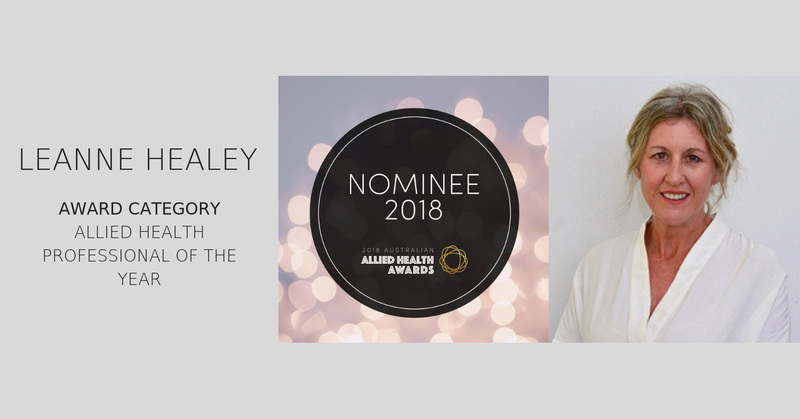 We are very excited to announce that Leanne Healey, Director of Everyday Independence, is a finalist in the 2018 Australian Allied Health Awards in the category – Occupational Therapist of the Year. Leanne Healey is an exceptional Occupational Therapist with over 32 years’ experience. She is passionate about bringing a social model of disability to Allied Health, disability and the private sector that never existed before. Leanne supports therapists at all stages of their careers to integrate theory and best practice into everyday routines whilst delivering service excellence and outcomes to people within a funding envelope. She uses metrics and evidence from her practice and the organisation’s practice to inform the NDIS about reasonable and necessary so people get the resources they need to live a life where they can participate civically and economically. Leanne firmly believes it is up to the whole sector to influence, build and shape the scheme and she leads by example every day. • Managing Director of one of Australia’s largest private Allied Health Organisation. • Successfully transitioned organisation to NDIS with growing and achieving positive and impactful outcomes for participants and their families. • Industry influencer and subject matter expert – OTA, NDIS, SWEP and Universities. • Keynote and invited speaker on many occasions. • Successful implementation of coaching, self-managed teams, person centred tools. • Industry leader in AT, Positive Behaviour and Disability accommodation. • Successful implementation of Early career training programme to promote workforce sustainability. Leanne widely promotes the social model of disability. She leads and inspires people in the sector to adopt a social model citing it as the “most empowering model for people with a disability because it makes a distinction between impairment and disability and looks at the barriers that restrict life choices”. In many circles she is known as a disruptor. She is brave and a strong advocate for the success of the NDIS. She supports many therapists to transition from medical models of practice to a social model which in turn supports the participants of the NDIS to live their best life. Under Leanne’s leadership, Everyday Independence has more than doubled in size in the last 12 months. This means supporting over 13 000 people and their families with a disability. The workforce is greater than 100 and growing. The organisation is financially sustainable and can demonstrate outcomes for service users through validated and reliable outcome measures. Leanne has recently introduced SMAF (Functional Autonomy Measurement System) to Australia. Everyday Independence is the only organisation to be trained and using SMAF. Early data suggests that a SMAF score will be able to predict a person’s SDA and SIL requirements which is hoped to have a significant impact for participants of the scheme. Leanne is the Chair of Clinical Excellence Impact Team that promotes and ensures best practice in the following areas: Core OT, Physiotherapy, Speech Pathology, Positive Behaviour Supports, Assistive Tech, Functional Assessments (SDA/SIL), Home Modifications, Coaching, Mentoring, Psychosocial Disability, Using technology to enhance therapist learning, Reporting and report review and Early Childhood Intervention. Despite the incredible growth of Everyday Independence, Leanne remains foremost a clinician dedicated to evidence-based practice, the ability to scale the organisation through the clinical excellence and best practice. Leanne practices what she preaches. This comes across in the way she supports participants and therapists in a way that empowers, challenges and supports people to be their best. Our rapidly growing organisation is a testament to Leanne’s success as a clinician. Leanne’s dedication to excellence, combined with her boundless energy and attention to detail make her contribution to those around her, and within the area of disability support invaluable. We look forward to the 2018 Australian Allied Health Awards that will take place in Brisbane on November 17 and wish Leanne every success.